There are 1 cat videos tagged with panther. 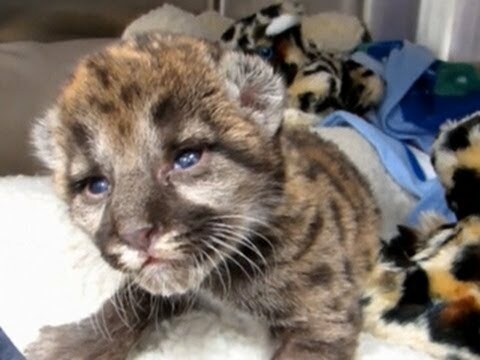 A baby Florida panther was only one-week old when it was rescued from the Florida Panther National Wildlife Refuge. Florida Panthers are a rare, endangered, subspecies of cougars so this rescue was an extremely happy one. As this cub grows, its spots will disappear and it will take on the tan look of adult mountain lions. A baby Florida panther was only one-week old when it was rescued from the Florida Panther National Wildlife Refuge. Florida Panthers are a rare, endangered, subspecies of cougars so this rescue was an extremely happy one. As this cub grows, its spots will disappear and it will take on the tan look of adult mountain lions.